Fig. 4. 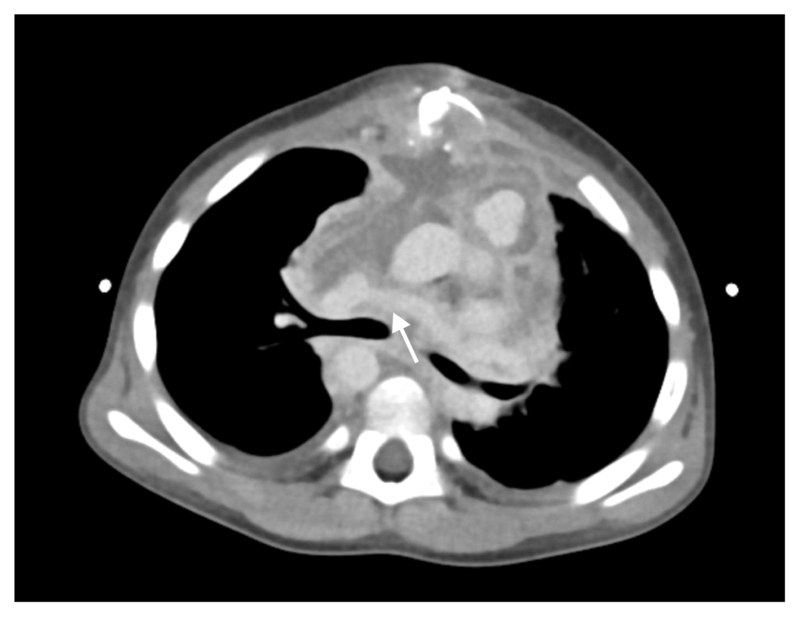 The arrow indicates that the left pulmonary artery flow limitation was relieved after neoaorta reconstruction.